Hi Beth, Jerry Spinelli is an absolute favorite. 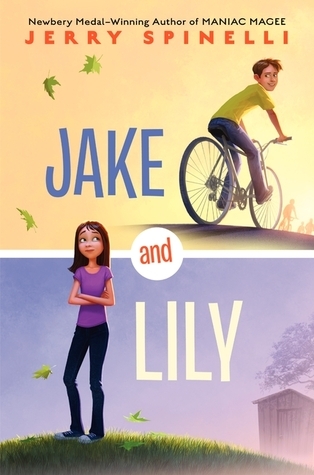 I hope I can find and read Jake and Lily soon. Drama also looks interesting. :) Enjoy the rest of your 'reading' week! I loved Jake and Lilly - and so do my sixth graders. Our kids love Jerry Spinelli - I will have to check out Jake and Lily! Have a great week! 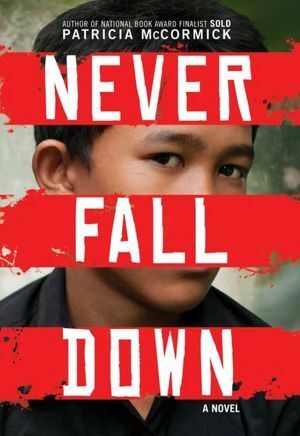 I just started Never Fall Down about 15 minutes ago :) I hope we both enjoy it! Enjoy Drama. I thought it was a mature book with great theme. 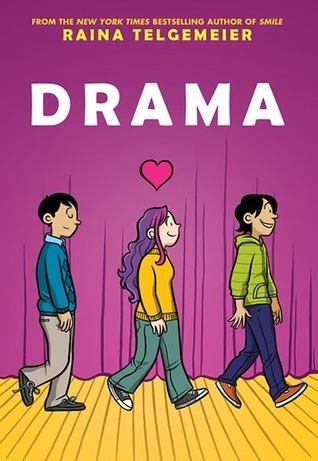 It's different from Smile (also by Raina Telgemeier) but features the same authentic voices and spot on illustrations of middle school life. I still haven't had a chance to read DRAMA. I feel like I must get my hands on it soon! NEVER FALL DOWN sounds fabulous. Patricia McCormick is a very popular author with my students.